Where a school was once destined to go, rows of vines will one day blossom instead. On Tuesday night, the Riverhead school board voted unanimously to sell 25 acres it owns in Aquebogue to Paumanok Vineyards, a move that will allow the winery to expand operations. Coming in as the high bidder at $651,000 for the Tuthills Lane property, Paumanok plans to use the land to grow more of its coveted chenin blanc variety — “the closest thing to a cult wine on Long Island,” owner Charles Massoud said. He added that he may grow up to five acres of the variety on the property next year. Originally purchased in 1965 for $34,000 to build a school, the land was leased to sod farmers by the district for years. No school was ever built on the site. The property can only be used for agricultural uses since the district sold the development rights to Suffolk County in May 2012 for $1,325,000. As for the school district, proceeds from the sale will be transferred to a reserve account dedicated to fund a solution to the district’s crumbling bus barn. 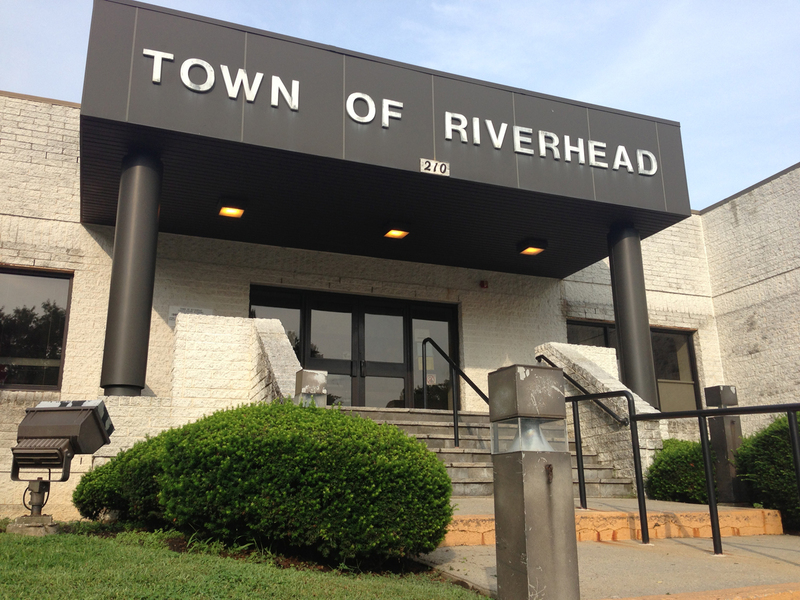 The maintenance and storage facility, which is located between district athletic fields on Osborn Avenue in Riverhead, was built in 1920 to house horses and has fallen into disrepair, school officials have said. Last year, residents voted down a proposition that would have allowed the district to relocate the bus garage near Phillips Avenue Elementary School in Riverside. The district later created a transportation committee. VHB Engineering, Surveying and Landscape Architecture was awarded a $22,500 contract Feb. 11 to conduct a traffic survey and environmental study of a 6-to-8 acre lot located near the intersection of Edwards Avenue and Route 25 in Calverton. The property is owned by Edward Partridge. Superintendent Nancy Carney said the environmental study is still underway and that the committee with review the document after it’s completed. The superintendent has said the Calverton location is attractive because a hauling company currently operates there and that it would be a cost-effective purchase for the district because the property includes an existing garage facility. In 2008, the district proposed using the land to build a bus garage and YMCA, but those plans were squashed in part by stiff community opposition. The district and winery are expected to close on the deal next month, according to Mr. Massoud. Editor’s Note: An earlier version of this story said residents voted down a proposition that would have allowed the district to relocate the bus garage near Phillips Avenue Elementary last month. A proposition for bus purchases was approved last month.